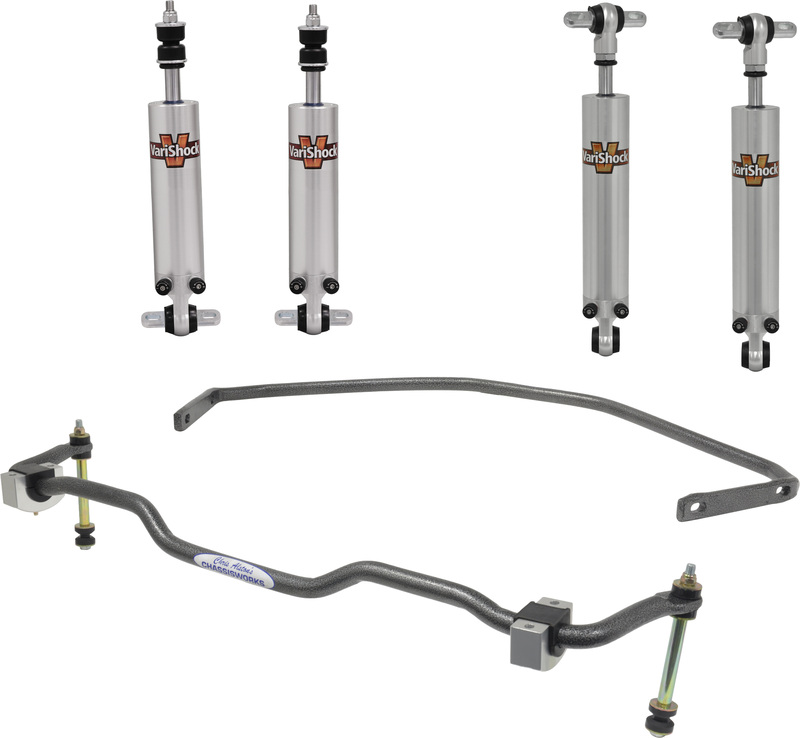 The GM Muscle Car line of suspension products from Chris Alston's Chassisworks has recently added a selection of simple-to-install front and rear suspension upgrade packages for popular GM passenger cars from 1955-2002. 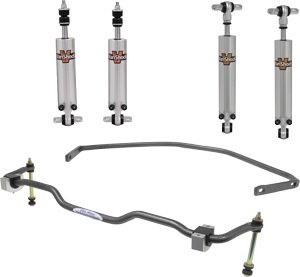 Kits include powder-coated front and rear anti-roll bars matched with VariShock direct-replacement billet-aluminum smooth-body shocks or coil-over struts in factory-valved, single- or double-adjustable versions. 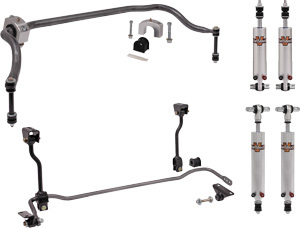 Front bars include billet-aluminum or stamped-steel chassis mounts and urethane bushings. Rear bars range from 3/4" to 7/8"-diameter with adjustable and fixed-rates respectively. Overall a great budget upgrade choice with noticeable handling improvement. For complete details visit www.CAChassisworks.com or call direct to 888-388-0297.